This is the world's favourite Dusty Springfield tribute artiste, and the most travelled British forces' entertainer and sweetheart. 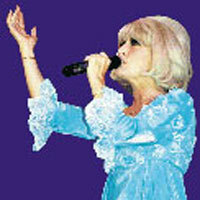 This show will take you on an emotional, soulful, moving journey with the soaring vocals of Dusty Springfield. One minute the hairs will be up on the back of your neck and next you will be on your feet dancing to classics.